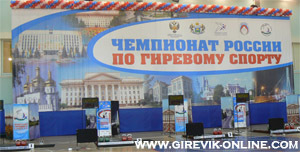 This week final of Russian championship was held in Tumen’. There are over 150 participants from 34 regions. There are many new great records. Now all champions will be members of Russian national team on the next IUKL world championship in New York. Many Russian athletes will compete on European cup (in Chelyabinsk, June 25). Not only members of national team can compete there. There will be near 100 Russian competitors. Welcome and you!